Some lenders may hesitate when they see your bankruptcy, but at Del Toro Auto Sales, we get you approved in 30 seconds or less. Most lenders tend to base their credit decisions on your history, but al Del toro auto sales we do things differently. Assigning everyone to a number is a somewhat arbitrary way to do business, and at Del Toro Auto Sales, we do things a bit differently. Regardless of whether you have had your property taken or if you have gone through a divorce in the last year, our team of experts can help get you. 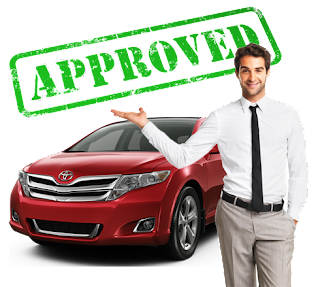 We can get you approved for an affordable car loan. Del Toro Auto Sales, we can help you get you approved faster. It takes only a short time to apply, and your information will remain confidential. After you have received our approval for a loan, you can stop by our auto dealership in Auburn, and we will get you driving your new car. ¿What happens if I had a bankruptcy? Bankruptcy should be no barrier to loan approvals. Call Del Toro auto sales at (888)324-2978 to find out if you are eligible to receive our Auto Loans after Bankruptcy in Auburn. Our doors are open seven days a week to help you get approved for an auto loan. We realize that time is of the essence when it comes to some people's lives and with an unexpected repossession you may be in trouble as you work to balance between school, work and home life. The quick and straightforward financial information form is designed to give us the relevant details we need to start tracking down a lender that will work with your credit history. It will also help us better understand your position as you search for a replacement vehicle. Our Auto Loans after Repossession in Auburn will be crafted to match your budget restraints and also give you a car that works for you. Once the ball is rolling, we will provide you with a call and inform you of your options and also schedule you for a one on one meeting with our sales and finance team. To bring this levels of service to those with credit problems we have to establish a level of trust with our sources that let us go to bat for you at the negotiation table. We will be able to get an Auto Loan after Repossession in Auburn once we are confident we have found the best deal available for you. With our large selection of used cars and trucks for sale, we are also convinced we can get you into a vehicle that you will be happy with a rebuild your credit while doing it. Debt always hangs over you like a bad dream. Even after it is gone the damage it causes is still can affect what you can buy or the type of car you can afford. However, there is always a way to rebuild your credit. If you recently have a medical debt that has been weighing you down, you can still qualify for an auto loan with Del Toro Auto Sales. Our used cars and truck inventory in Auburn is enormous as we have all the top models including ones from Toyota, Honda, Dodge, Nissan, Ford, Chevrolet and more. There are work trucks available, SUVs for your family needs and plenty of space for fun on road trips, and, many different sedans and sports cars. These sedans include the reliable Toyota Camry and the fun Honda Civic. Having financial problems is never fun, needing a vehicle while you are having those problems is even more of a headache. Here at Del Toro Auto Sales, we want you to know that we are here to make those headaches go away whether you just had a repossession, bankruptcy, or have unpaid debt in your credit. We like to make searching for an Auto Loan as easy for you as we can. You can check out our inventory and apply for an auto loan right from our website. 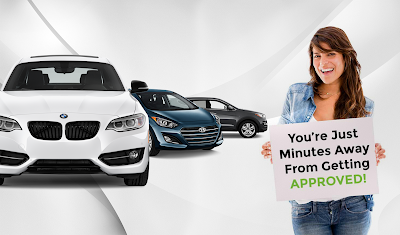 As we mentioned before you can fill out our quick and easy approval application to see if you will be approved for the car, you are interested in, and 30 seconds we will provide you with an option of your liking. For more information, you can always call us to talk to a finance specialist a Del Toro Auto Sales about your situation.